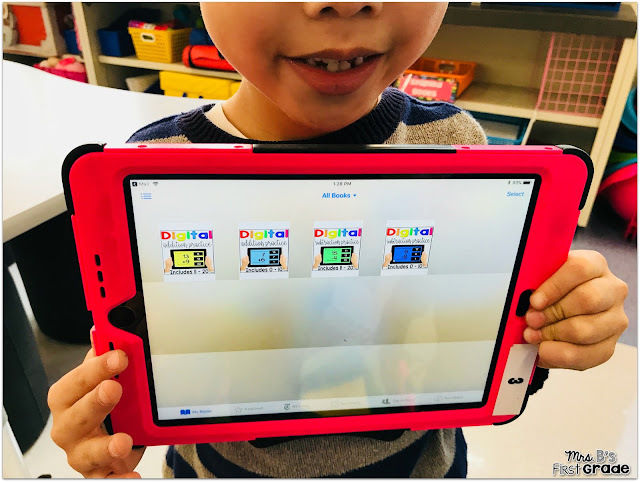 I have been using iPads with my young students for several years now. We do a lot on our iPads, but it is mainly through various apps. Until now. I finally figured out how to create my own activity for something my first graders were struggling with - addition and subtraction fact fluency. Read on to learn what I did and how we use it! My students obviously love using their iPads. They especially love when they get the chance to use them during our math workplace time. This is when I have various centers out and I pull small groups or work with individual students. 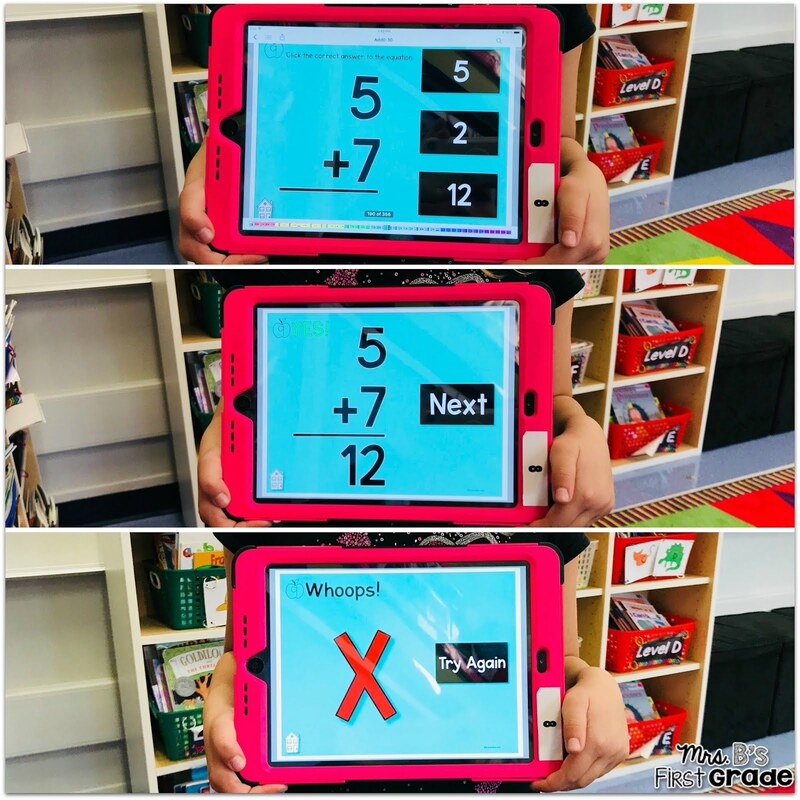 They use their iPads to play around on some apps that I like, but it is hard to find one that is working on exactly what they need. 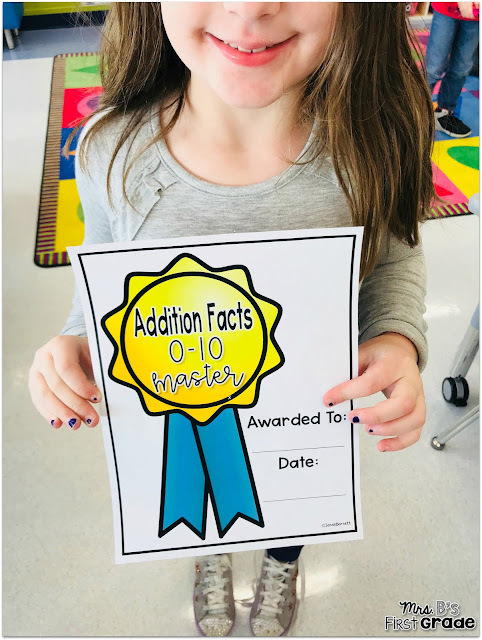 My students this year have needed a lot of help with their fact fluency. It can not be fun to practice though - especially if it is just flash cards. However, they need consistent exposure to the equations with immediate feedback if their answer is right or wrong. This can be tough to provide in a classroom with just one teacher. Insert digital addition and subtraction practice! I created a PDF resource that can be played like a game. You just open it up on a computer or a device like an iPad. You can use this if you have a class set of devices - or just one! On a computer, it can be played through the PDF viewer - like Adobe Acrobat. 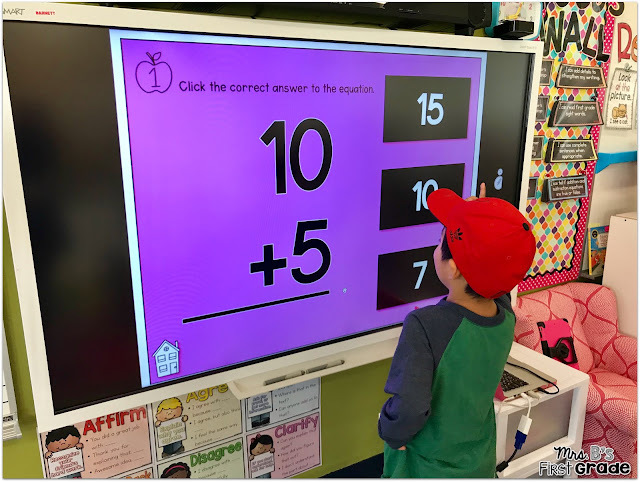 Or - on the SMART board! On a device such as an iPad, it is best played through iBooks. It is super simple to get the pdf over to there. I have instructions included. 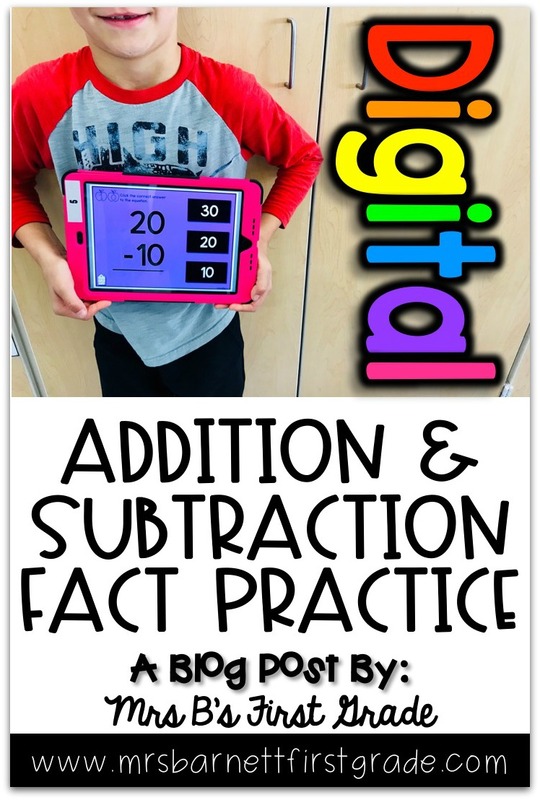 I have created addition and subtraction practice through 20. 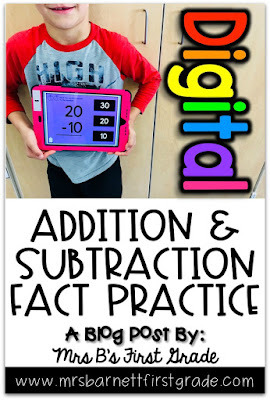 I broke it down into addition 0-10, addition 11-20, subtraction 0-10, and subtraction 11-20 to make it easier for my students. 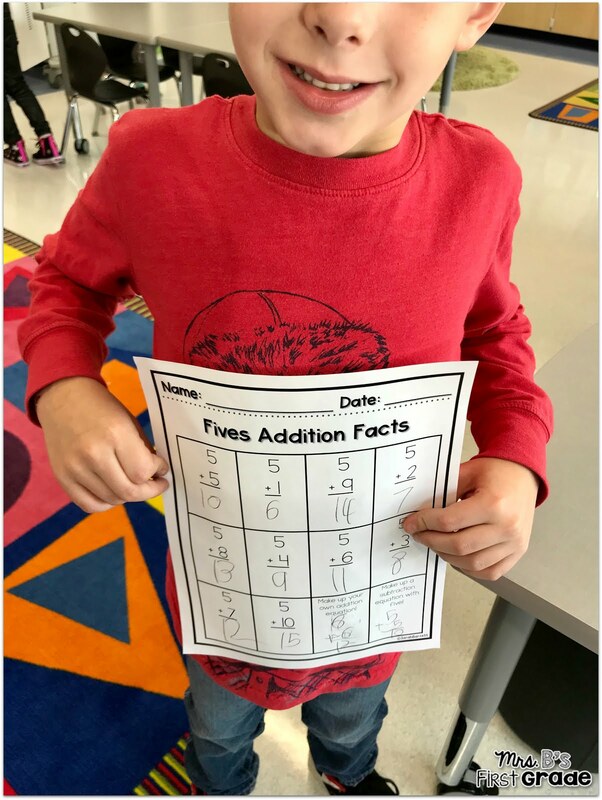 My students all started with addition 0-10. At first, they went through the various fact groupings at their leisure. There is a table of contents where they can choose what to work on. When I knew a student was ready, I had them fill out a recording sheet "quiz" for me so I could check their progress. You can also use the recording sheets as just that - recording sheets. When my students have completed all of the levels, they receive a certificate and move on to the next set of equations. Want to try it with your class? You can grab my free version (addition 0-5) here! 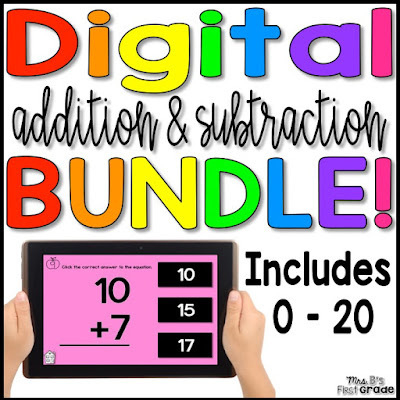 Or, you can click below to check out the full bundle. 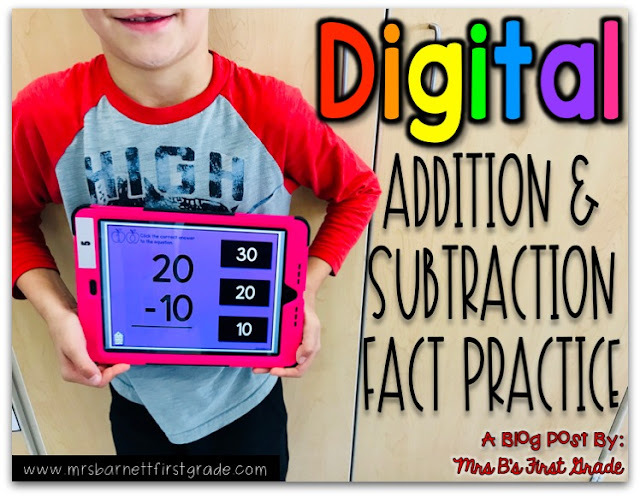 What digital activities have you created for your students? I would love to hear about them! PSST!! 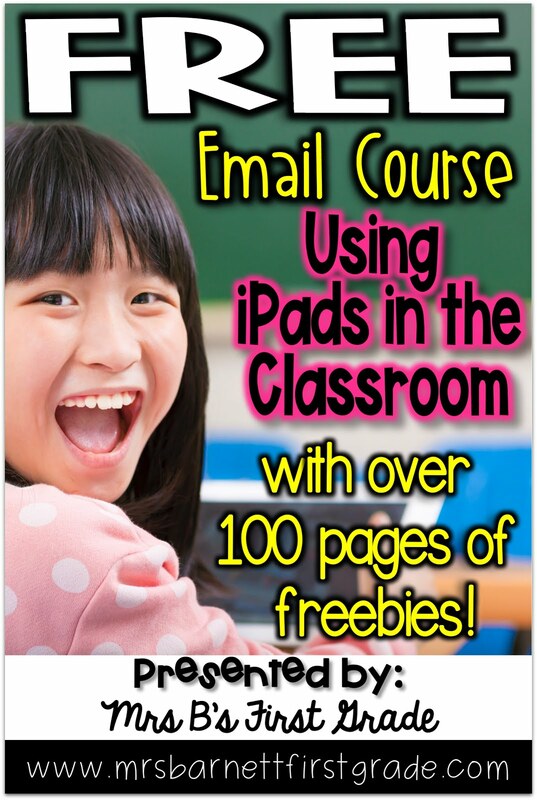 Want to learn EVEN MORE ways to easily implement iPads in your classroom?! Just click here (or the picture below) to sign up for my FREE five day email course! I will walk you through everything I've done to easily implement iPads in my own classroom!